In this interactive, online activity students elect a simple random sample to draw conclusions from data as presented in the Hubble Deep Field-North and Hubble Deep Field-South images. The optimal sample size is determined by exploring sample variability, which is introduced through a min/max plot. The mean and median are added in order to pinpoint the spot where variability settles down and the measures of central tendency approach a constant value. The point where that first occurs is the smallest reasonable sample size. Students may work independently or in small groups to complete each activity. 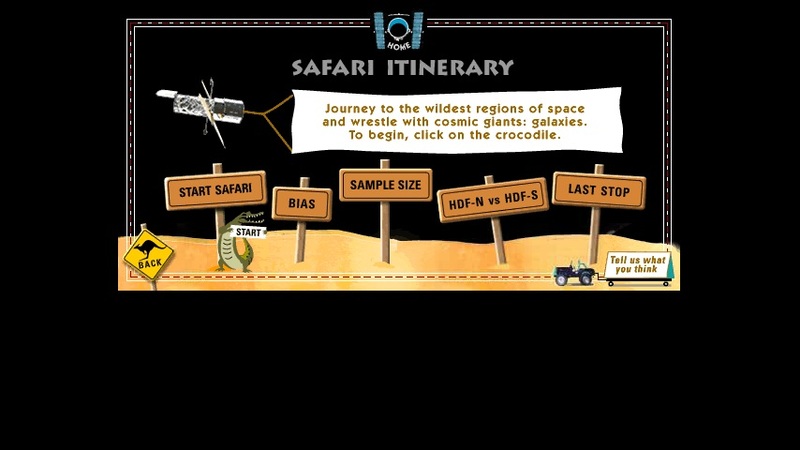 This interactive online activity is apart of the online exploration "Galaxy Hunter." Detailed teacher pages, identified as Teaching Tips on the title pages of the activity, provide science background information, lesson plan ideas, related resources, and alignment with national education standards. Use sample variability to determine optimal sample size.